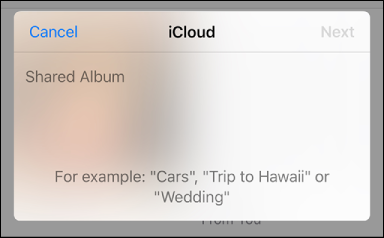 In the Photos app, select the photos and videos you want to share. 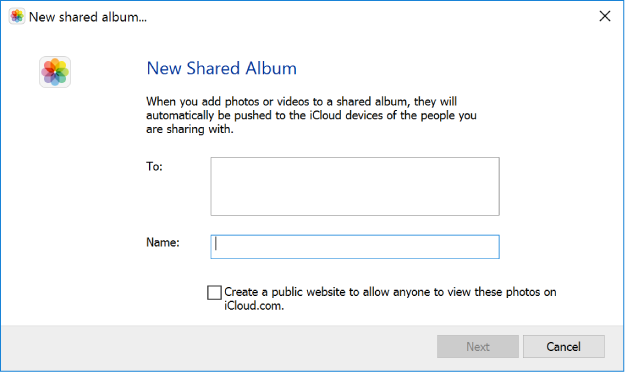 Click the Share button in the toolbar, click iCloud Photo Sharing, then click New Shared Album. In the Photos app, tap Shared at the bottom of the screen, then tap the Add button at the top-left. 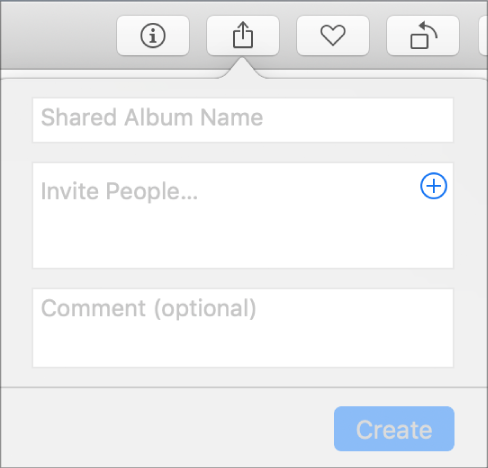 Enter a name for your Shared Album, then tap Next. Invite people to subscribe by entering their email addresses or tapping the Add button to select from your contacts, then tap Create. To let invitees add their own photos and videos to your shared album, tap the album in the Shared Albums list, tap People, then turn on Subscribers Can Post. To make a website of your shared album, turn on Public Website. To send the shared album’s web address to friends, tap Share Link.